After rising early and baking frenetically, I have just ferried my last Arts & Crafts Competition entry to the Royal Melbourne Show. I baked scones. Lots of scones. More scones than any home-cook should ever reasonably make before 8 in the morning. To be honest, those that made the final selection looked a little lacklustre. There were no standout prize-winning attributes. Not bad; just not great. A bit meh I think. But if nothing else, at least I can say I gave it a go. And I can confidently say ... following the Great Transposition Fiasco of 2009 ... that they have been entered into the correct category. This year I have selected Class 204 - novice, plain (4). Pausing to reflect, I do hope this means 4 plain scones baked by a novice. Fortunately should it transpire that its really 4 scones baked by a novice who is plain, my entry will still meet the criteria. Best of luck with the competition on all your entries. 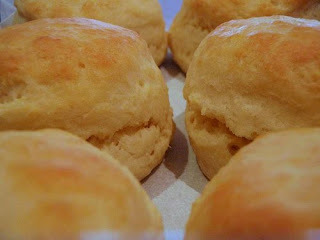 Good lick with the scones and your other entries too. I have to produce 2 cherry scones and a 3 bloom flower arrangement for our Rural competition this week. Can't bake and can't arrange flowers. One point just for entering though. 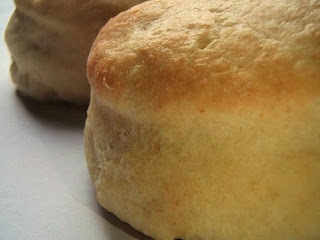 What if it meant 4 scones baked on the plain (not plane) by a novice---are you still legit??? Go Liesl! Did Argy and Bargy get to eat those that didn't make the final selection? I bet you judge yourself more harshly than any show judge would. Good luck - and good on you. They look yummy! Now I want to bake scones!! Hurray for scones! They do look nice. I hope those judges know what's good for them!! LOL.....you are a complete nutter! good on you Liesl!! They look good! Those look terrific. Unlike the flat ones I made recently. Good luck and I hope you win as well! whatcha talking about? they look fabulous to me!!! I have just been to the Royal Adelaide show and always enjoy looking at the ways in which food that has been on display for nine days mutates. The sausage rolls are like little turtles that have shied away into their little pastry homes.